Hands On Gainesville supports BOTS with the Kid Power Bike as they announce the FIRST Robotics 2017 competition. 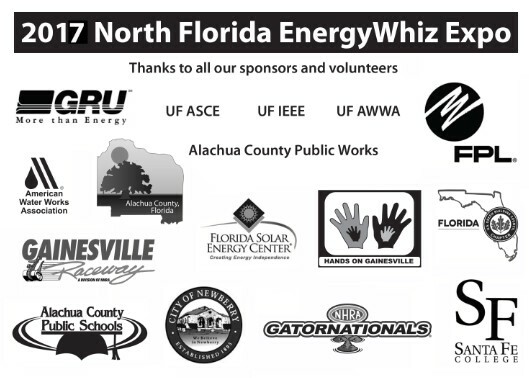 Every April elementary, middle, and high school students test and improve uniquely designed solar cars, solar cookers, and energy-efficient critter condos at the North Florida Energy Whiz Expo. Those interested may take their designs to state level competition at the Florida Solar Energy Center in Cocoa, FL. 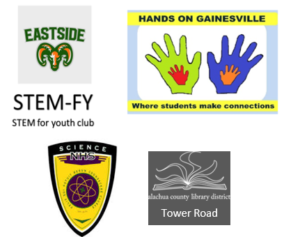 Hands On Gainesville partners with the Alachua County Public Schools, the Florida Solar Energy Center, and multiple university engineering clubs. We will have even more partners joining us in 2019! 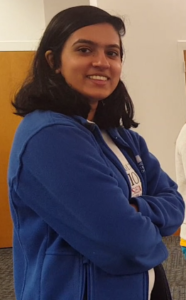 Shreya Pathak, an Eastside High School (EHS) student and HOG-mentored volunteer, coordinates the STEM-for Youth program at the Tower Road Library. Shreya and members of the EHS Science National Honor Society bring monthly hands on science activities to kids in the Tower Road area. Click on Shreya’s picture to see their program in action! 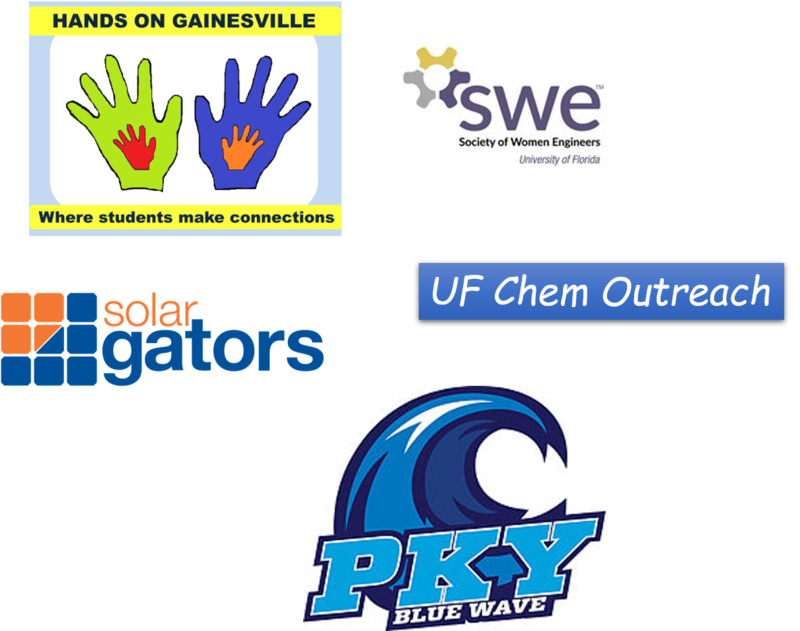 Hands On Gainesville, University of Florida (UF) Solar Gators, UF Chemistry Outreach, and UF Society of Women Engineers are mentoring P.K Yonge High School students as they prepare for the Regional Science Olympiad to be held at UF on January 19th, 2019. The High School students are competing in 23 different science and technology categories. For more on the Olympiad, click here.